At first, Genesis appeared from the darkness as a gift to any who would partake, so all was good. Then, Genesis begat Exodus and the angels sang glory unto the heavens. Exodus carried many and more across the barren wastelands to escape cable Hell, then was Exodus spied by the eye of hate. Upon the apparent death of Exodus, a Covenant was formed, so life flourished once more. This fair dance around the oasis lasted not long, much to the sadness of all. Now, the forces of chaos have reared their ugly heads to bring down once more a favored son of Kodi. 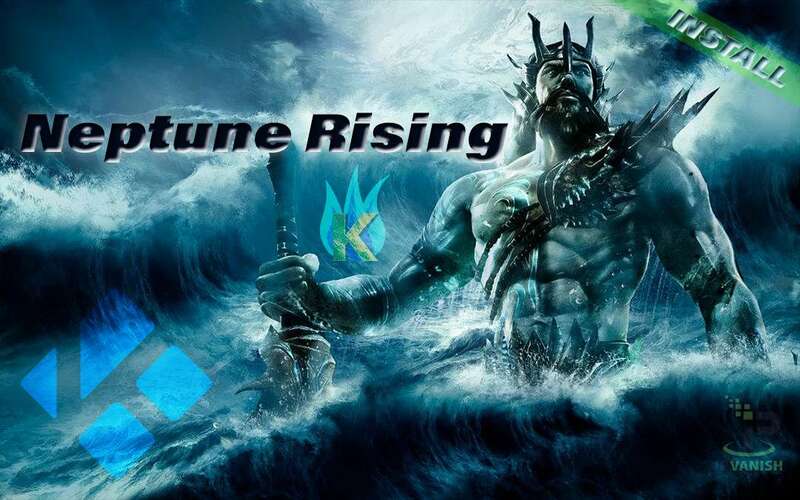 With this scorching of the Kodi landscape, Neptune Rising returns the smile to Kodi fans&emdash;new and old. With a full code fork and makeover, Neptune Rising currently has many more working links than any of its predecessors. Neptune Rising lives within the currently very popular Blamo repository, so may download a bit slow for some. With tools you need, playlist capabilities you love, and streams you crave, Neptune Rising gets very high marks indeed. The KFire TV front page remains the number one source of up-to-date Kodi TV addon information, so you remain informed. Get all the latest news, builds, and TV addons there, so your streams never dry up. Please, do play it safe, especially with Net Neutrality currently off the board. Get yourself within a secure VPN, so your data, identity, and location remain private. Kodi limits itself to the installation of TV addons from its own official repository unless you enable “Unknown Sources” first. To do that quickly and easily, just check out our Allow Unknown Sources in Kodi tutorial guide. This grants you access to all the fantastic third-party Kodi TV addons, builds, wizards, and repositories. We’ll wait here for you! We start this adventure by installing the Blamo Repository source URL into your Firestick Kodi installation, so buckle up. This should require merely a moment by using these ever so simple to follow steps. Get yourself onto Kodi’s home screen, then click on the System (gear cog) icon. Then, head on into the File Manager. Now, click Add Source, so we can give your Kodi install a new source location. Input the Blamo Repository source URL, so type http://blamo.teverz.com/. Give this the name Blamo, beware of typos, then click on OK. If you receive a “Directory information couldn’t be retrieved” message, don’t add the source. Just try later on in order to see if it came back, then move on if it doesn’t. Neptune Rising makes a wonderful addition, but for this reason, may die a nasty death at the hands of Big Brother. Many other Firestick Kodi TV addons will either remain or spring up, so enjoy Kodi safely while you can. To get the Blamo Repository onto your Fire Stick Kodi setup, then use these simple installation steps. Neptune Rising makes its home in the Blamo Repo along with its dependencies. The Blamo Repo keeps them all up to date for you, so you don’t have to worry about checking that yourself. Head back over to the main menu on Kodi’s home screen, then enter Add-ons. Then, you’ll need to click on the Add-ons Browser (open box) icon. Select Install from zip file in this list, then click it. Then, choose the Blamo repo source that we input earlier. At this point, select the repository.blamo.zip file, then click on either it or the OK button on the right. Very quickly, you should notice the Blamo Add-on installed dialog, then head to the next section. The Neptune Rising installation itself takes no effort whatsoever. Can you feel the waters rising in your Fire Stick? At this point, you should remain in the Add-ons browser, so click on Install from repository. If not, then reread steps 1 and 2 in the Install Blamo Repository section before the following. Select the Blamo repo to install from, then click it. Go into the Blamo repo’s Video add-ons area. 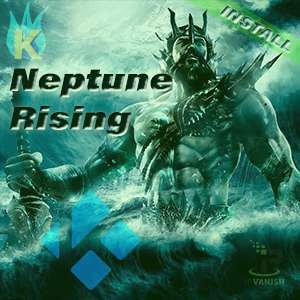 Then, choose Neptune Rising for installation. Simply click Install now, so installation begins. If all went well, a dialog will popup to tell you Neptune Rising Add-on installed successfully. That went wonderfully well, eh? Get the mop and bucket out; you may need them. Make sure to check out all the latest and greatest as they come out on KFire TV. Until then, please use Kodi safely and enjoy! Neptune Rising is a newly updated fork of the Genesis/Exodus/Covenant code base updated to put a smile back on your Fire Stick. Learn how to install it now! Krypton is the code name for Kodi 17 – 17.6. When on the Kodi home screen, unless you’ve installed an alternate skin or build already, you should see a gear cog icon at the top-center of the left column. You might check out our simple Kodi update process to get Kodi Krypton 17.6 installed and then install some Kodi TV addons or a build. After entering URL address it stated it could not connect to network server. What am I doing wrong? Unless it’s down, double check your typing. I can’t tell you how many times I’ve gone back and missed something when spelling. Could be down, I had a couple drop on me last week. Need to add server is up a running with very good signal strength and no issue with the network connection. So I am thinking is has to do with Kodi.